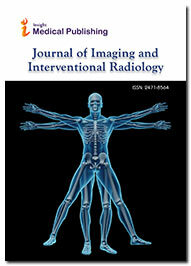 Journal of Imaging and Interventional Radiology publishes high impact peer-reviewed quality articles in the field of cardio-vascular imaging, oncologic interventional radiology, abdominal interventional radiology, ultrasound, MRI imaging, sonography, pediatric radiology, musculoskeletal radiology, metallic stents, renal intervention, angiography, neurointerventions, and CT fluoroscopy along with other areas. Each issue in Journal of Imaging and Interventional Radiology covers critical and cutting-edge medical minimally invasive, clinical, basic research, radiological, pathological, and socioeconomic issues of importance to the field. The Journal accepts all types of papers that are eligible for publication. The articles published will be appearing soon in our online versions.